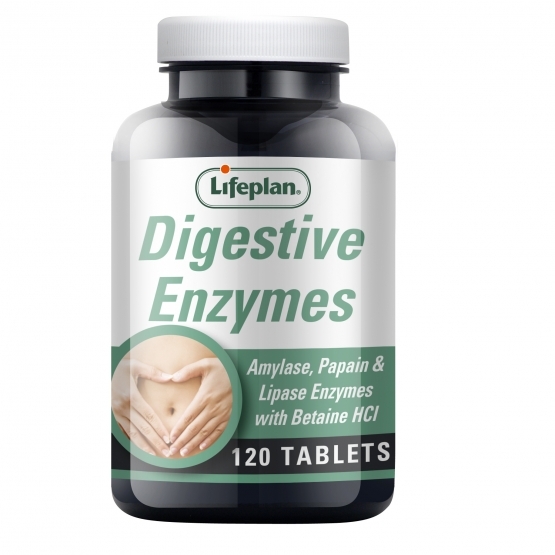 Lifeplan Digestive Enzymes contains plant derived enzymes. Enzymes are used in the body to make our foods easier to absorb. Calcium contributes to the normal function of digestive enzymes.This product may be especially chosen by people who eat on the run, who have hectic lifestyles, or those wishing to complement their own digestive function. Take one to two tablets when you begin a meal. added sugar, salt, yeasts, flavourings, colourings or preservatives. Our health claims below have been devised from the EU Register on nutrition and health claims. All the health claims stated below are based on scientific evidence. Digestive Enzymes x 120 has been added to your basket.